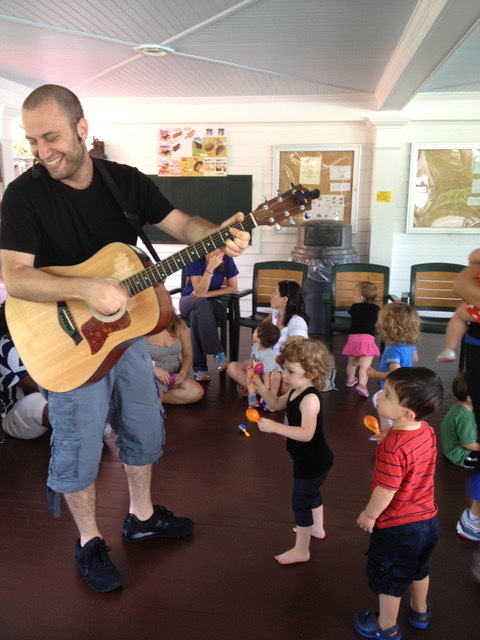 I perform for around 45 minutes with the kids (SOLO, just me & my guitar), singing a mix of classic kids “favorites,” mixed with a couple of my original kids songs and a bunch of fun, upbeat, famous rock n roll classics that the kids can enjoy and dance to (and the adults will also enjoy!). 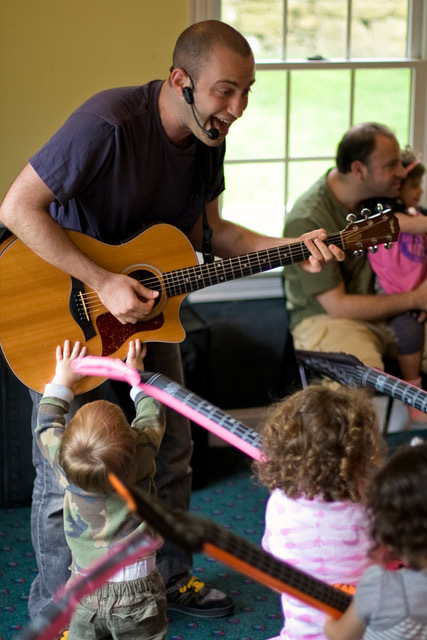 I do a variety of different activities to keep the kids engaged. 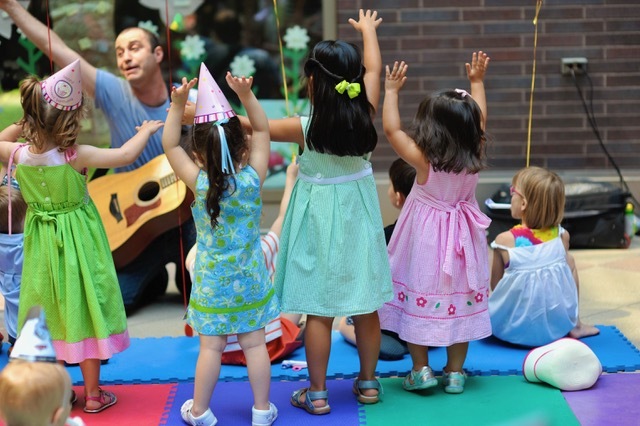 I bring animal puppets and sing a few interactive animal- themed songs, I bring instruments (maracas) for the kids to shake and dance with, and I bring a Big Book to sing w the kids. I also bring my big parachute, and LOTS of Bubbles!!! I always have additional toys/props w me as well like funky, colored scarves for dancing and peekaboo, and some fun ribbons to spin around and dance with, and Big Drums!!! 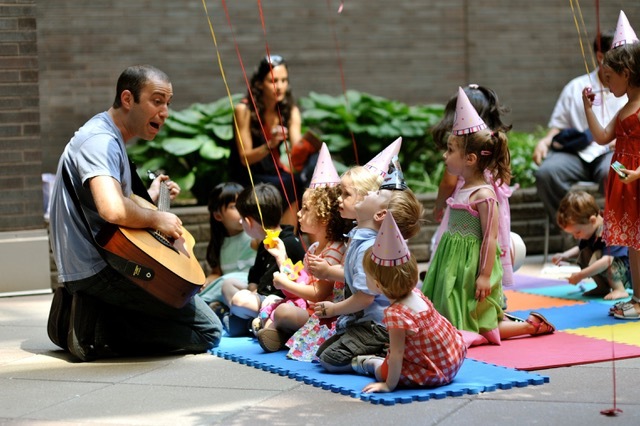 I have extensive experience performing at over 1,500 kids parties in the NYC metro area in the last 10 years! For parties in Manhattan, I charge $375. Outside of Manhattan (suburbs), I charge $400. For parties with over 30 kids, the rate goes up by $50. 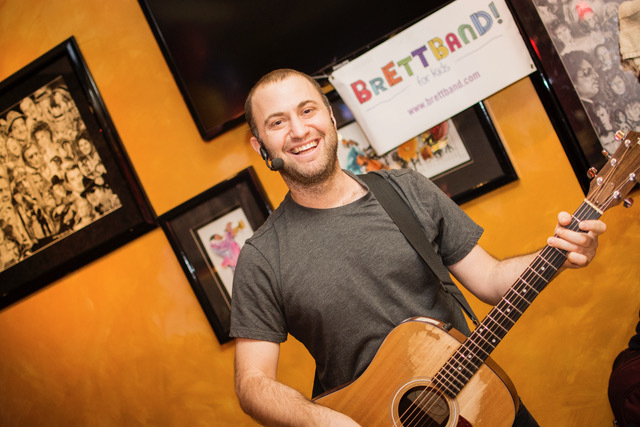 I had the pleasure of experiencing one of Brett’s music classes as a nanny a few years ago. 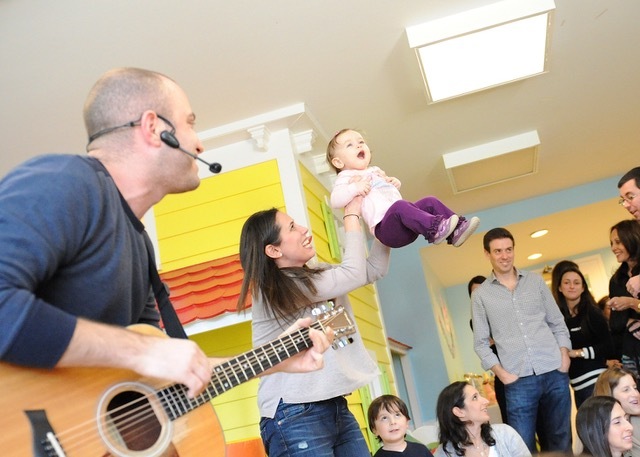 He is very talented and great with children. Everyone always had a blast, with lots of dancing and singing. 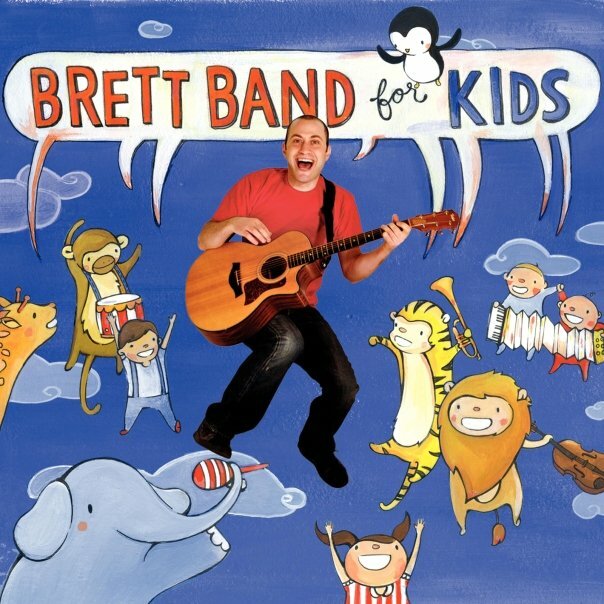 Best part, in my opinion, was towards the end, when Brett would bring out a book to read and sing along to with the kids. Highly recommended!